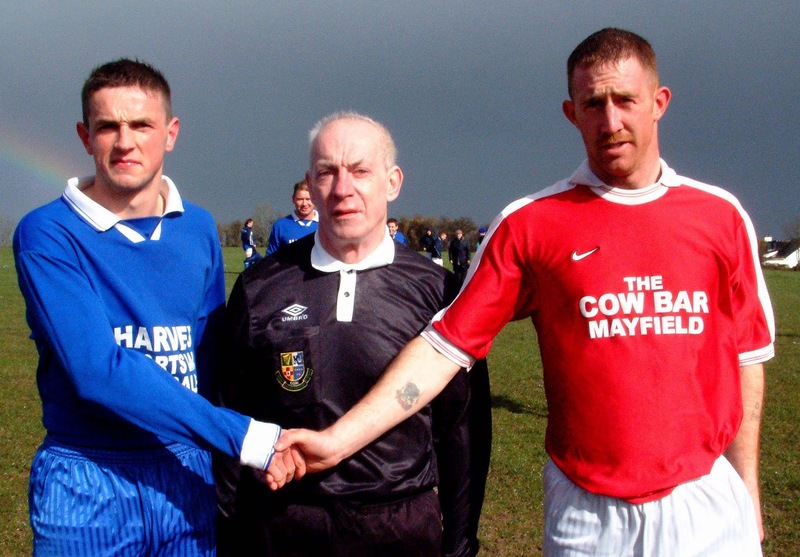 Village United’s great run of cup success continued at a windy Mayfield on Saturday afternoon when they advanced to the last eight of the Murphy’s Stout AOH Cup and a home date against Blarney Utd at fortress Silverheights. 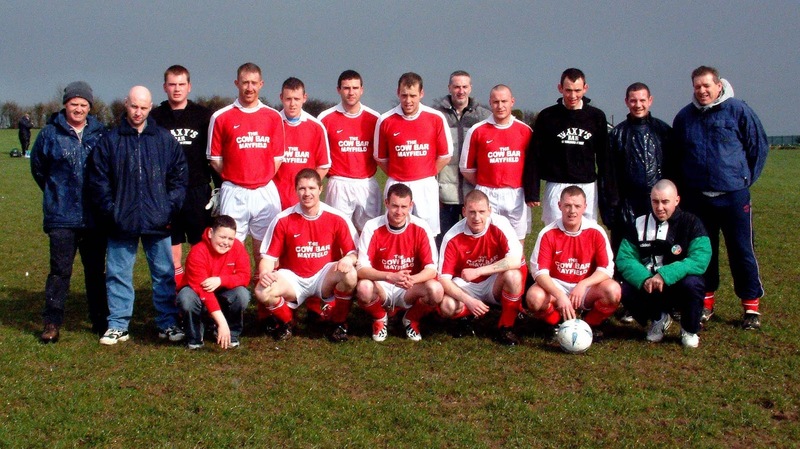 The latest victims of the John Bowen and Greg Cooney managed Village side, who replay in Tralee next Sunday in their Munster Junior Cup quarter-final, were Kinsale, now out of all the major cups and able to concentrate on defending their Premier League title. Kinsale had a great start and were one up after less than four minutes. Derek Delea fired in a well struck 30 yard low shot that flew past the right hand of Village custodian Jamie O’Donovan. Village came close in the 18th minute when Eric Burns saw his 30-yard effort flash over. And they came close again five minutes later. 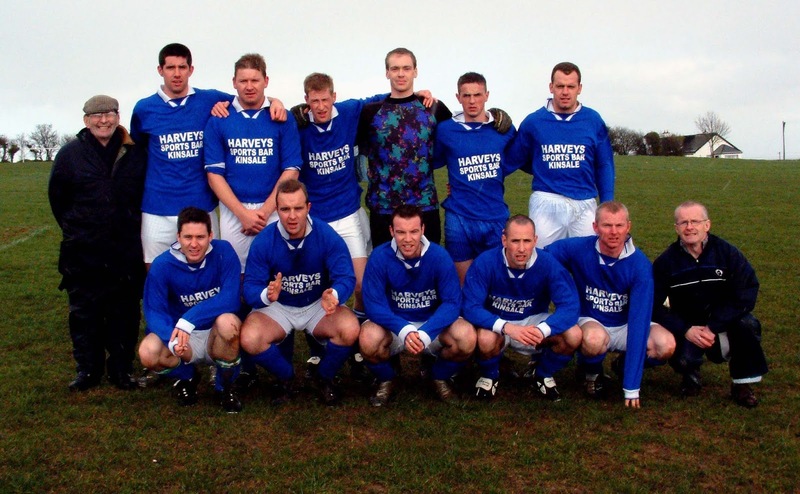 Then Terry Lotty floated a measured ball from a free kick to the head of Alan O'Brien whose headed effort had “goal” written all over it until Kinsale’s goalkeeper Dave O’Callaghan brought off a fantastic save, going full length to push the ball away. Kinsale had a chance to increase their lead a few minutes later when Sean Prior headed against the side netting from a free kick taken by Peter Jones. Village got their equaliser in the 37th minute. Terry Lotty gained possession on the left and, from 35 yards out, hit a well struck shot that beat the Kinsale keeper O’Callaghan to make it 1-1. Soon afterwards, Kinsale were awarded a corner. The ball broke for Jeremy O'Donovan but his effort was easily saved by Jamie O’Donovan in goal for Village. Early in the second half, Village midfield player Conan Burns won good possession in the middle of the park and sent Clive Hurley away on the right. Hurley’s initially goal-bound effort, assisted by the wind, perhaps too much, flashed over the bar. Kinsale’s Delea was put in on goal by Florence Lynch but the ball bobbled away from him and into the welcome hands of the Village goalkeeper. Derek McCarthy pushed the ball on for Sean Prior who in turn crossed for David O'Donovan but his header went over the Village bar. The action was now swinging from end to end and soon Kinsale defender Jeremy O’Donovan intervened to head away a dangerous cross by Conan Burns that was intended for Brian Sheehan. From the resultant corner, taken by Terry Lotty, O’Brien had a good chance when he found himself unmarked at the far post but, unfortunately for him, his low headed effort went narrowly wide of the target. Village would soon have major consolation. In the 62nd minute, Will O'Callaghan, after some impressive work on the left, crossed into the danger area. The Kinsale defence failed to cope with the delivery and O’Brien drilled the ball into the back of the net to put his side ahead at 2-1. Kinsale tried hard to get an equaliser but were met by a stubborn Village defence where both Dave Quirke and captain Conor Jones proved to be a solid force at the centre. Indeed the better chances of the closing minutes fell to Village. In the 72nd minute, Village’s half-time substitute Jinty O’Sullivan saw his decent effort from 30 yards saved at the second attempt by O’Callaghan. Village could have gone further ahead near the end when Conan Burns shot over from a good position and then it took a second attempt by the Kinsale keeper to collect a good effort from Alan O’Brien. And, with only a minute or so to go, Brian Sheehan found himself in a perfect position to score but he dragged his shot wide of the post. 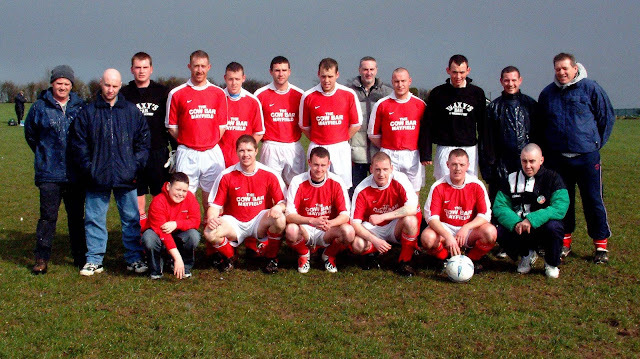 Village Utd: Jamie O’Donovan, Clive Hurley, Terry Lotty, Conor Jones, Conan Burns, Eric Burns, Alan O’Brien, Richard Burns, Willie O’Callaghan, Brian Sheehan and David Quirke. Subs used: Jinty O’Sullivan for Eric Burns (at half-time) and Leslie Kepple for Willie O’Callaghan (74th minute). Kinsale: Dave O’Callaghan, Gearoid Cummins, Florence Lynch, Peter Jones, Pat Murphy, Jeremy Donovan, Derek McCarthy, Sean Prior, Dave Barry, David O'Donovan and Derek Delea. Sub used: Sean Foran for Prior (71st minute).